MUMBAI: Shiv Sena has said that the BJP is misusing the CBI and is using the agency to take on the rival parties. Though other parties had earlier made a similar charge but this is a first such assertion when a BJP ally, has made this allegation against the BJP. "The BJP is doing exactly what the Congress used to do in the past and this is the reason that CBI's image has been hit badly". The Shiv Sena mouthpiece Saamna has said that the party is using CBI to send its opponents to jail. 'With CBI and Enforncement Directorate (ED), the politicians turn into devils", it further said. Also, Sena has criticised BJP for its stand on Saradha chit fund case, saying that the main beneficiary Mukul Roy is now in BJP along with several other party leaders. This is not the first such occasion when the party mouthpiece has taken such a stand. 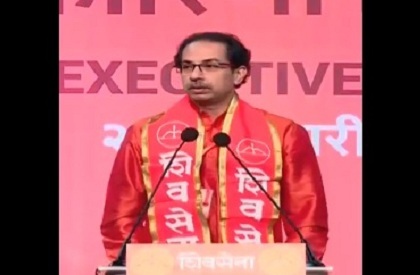 There was consistent criticism of the BJP earlier too, however, the Sena appeared to have mellowed down lately. But after the stand-off between Centre and Mamata Banerjee when CBI officials reached West Bengal to arrest Kolkata police commissioner, the party has again been taking a harsh stand.